The people of Whithorn are to be asked their thoughts on a proposal for a community buy-out of the New Town Hall to create a state-of-the-art contemporary sports hub and community facility. A public consultation will take place in the New Town Hall, St John Street, on Thursday, October 13, from 3pm to 7pm and again on Saturday, October 15, from 10am to 1pm. In 2015, the Trustees of All Roads Lead to Whithorn came together with the users of the hall to discuss its future. A steering group was then formed and several priorities identified including the need to upgrade sporting facilities for existing groups, such as the award-winning Braveheart Boxing Club, and to provide wider public access to new health and fitness facilities; the need to provide facilities for other groups so that sporting users can continue to use the hall regularly without disruption, and to accommodate one-off events such as the flower show and Goodwill Christmas dinner. The steering group want to look at encouraging tourism by providing hostelling accommodation for walkers and cyclists and upgrading the kitchen, heating and disabled access. 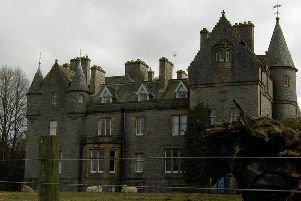 If there is enough public support for such a facility in the town, the Trustees would then approach Dumfries and Galloway Council to acquire the building for the community, then apply to the Lottery and other major funders for the renovation costs.